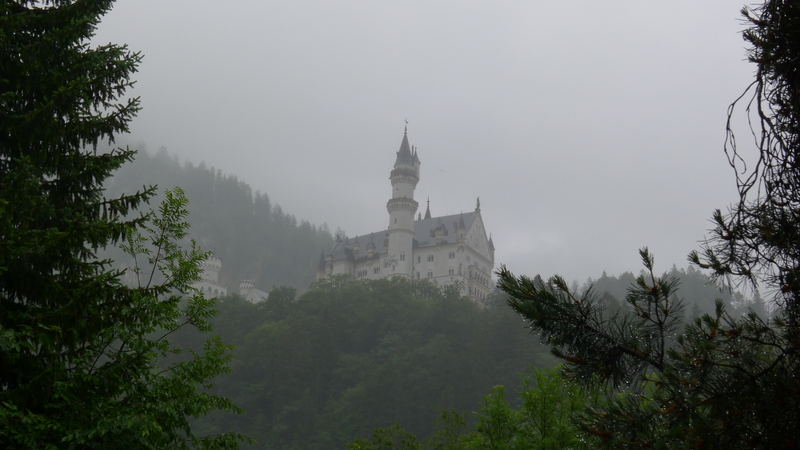 OK – so today we were supposed to see Neuschwanstein Castle, which lies at the terminus of the Romantic Road in Germany and not far from the Swiss border. This castle was commissioned by King Ludwig 11 of Bavaria and would be familiar to anyone who has ever scene the opening credits of a Walt Disney film, as this castle formed the basis of the WD logo. OMG! I wish I was there with you guys. It is a gloomy, foggy, rainy day here today. I am so sick of this weather. Dave is in Whistler this weekend and the girls are all at various friends houses, so I am kind of board. I think I’ll just hop on a plane and join you. Love all the pictures, keep them coming. Glad to hear that all is well with everyone. Miss you terribly. Hi guys!!! So great to get your photos and news from abroad. Hope the weather is improving there as it rainy and 15c here, not quite what we want! Same old end of year craziness here and Jodi and Dave arrive tomorrow to stay for a few nights along with 33 people here tomorrow for a Father’s Day BBQ….am I nuts? Loved your entries Stef, so happy for you guys as you soak up the adventures of life on the road. Hugs to all and stay in touch.